Novelsys has created a new smartphones wireless charging sleeve called the Ampere, that they have equipped with both fast challenging and smart control functionality, removing the need to carry extra device charging cables. The Ampere is currently over on the Kickstarter crowdfunding website and has already reached its pledge goal of $60,000 with still 29 days to go. Watch the video below to learn more about this useful smartphone charging sleeve, which claims to be the world’s very first. “At Novelsys, we know your smartphone battery life is important to you. That’s why we designed Ampere: to reinvent the mobile charging experience. Made for anyone with a smartphone. 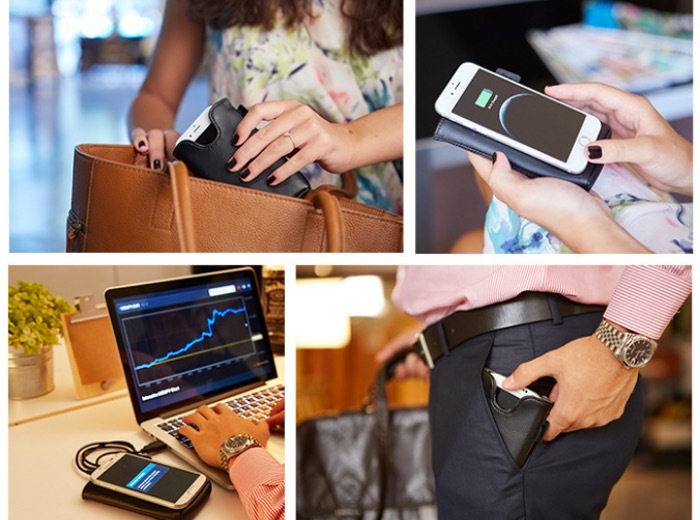 Ampere is the world’s first phone sleeve that truly enables wireless charging on-the-go. Its electromagnetic induction coils are powered by a 2,700 mAh battery to keep your smartphone going all day. Just slide your phone into the sleeve to charge: there’s no alignment necessary and charging works every time. Need to use your phone? Simply place it over Ampere to charge. For more information on the new Novelsys wireless charging sleeve jump over to the Kickstarter website for details and to make a pledge from just $59 to be one of the very first to own and use the smartphone wireless charging sleeve.